This October, the Alabama State Poetry Society will host its annual mid-fall meeting in Pell City, Alabama. Both members and non-members are encouraged to attend. 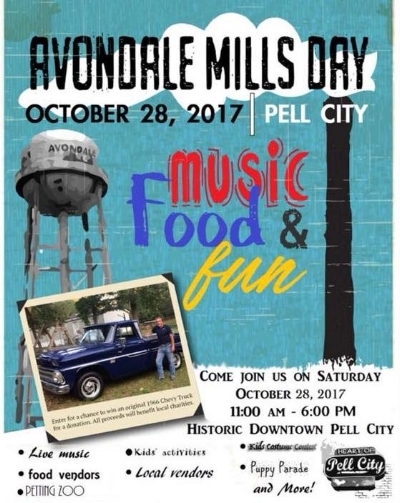 We hope attendees will bring their families to Pell City as it is Avondale Mills Day in the town. Also, St. Simon Peter Episcopal Church will host it’s Fall Festival with arts, crafts, and more fun for children. Winners for the Poetry Contests will be announced at the October Meeting. Deadline for entry is August 18, 2017. Everyone on the planet is encouraged to submit to these contests. Learn more from the ASPS website. 1) online: send Paypal payment to alabamapoets@outlook.com and make sure to include your full name. 2) sending a snail mail check to ASPS, P.O. Box 2, Pell City, AL 35125. Email Treasurer Myra Ward Barra at Treasurer@alpoets.org for more information.